← Mediterranean diet: eat healthy in Athens! 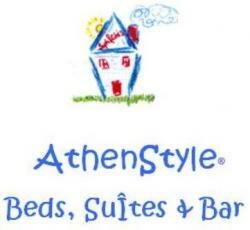 Planning to spend Christmas in Athens and you’re staying at AthenStyle? Why don’t you join us for a Christmas Dinner on December 25th ? All of our guests are invited to join our family-style dinner at 7:00pm at the fully covered and heated AthenStyle Rooftop Bar & Restaurant. Come to enjoy the view along with a traditional home-cooked meal and amazing international company!